Dan Fell of Doncaster Chamber. 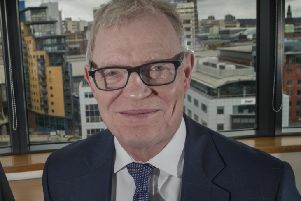 Business leaders from across the Sheffield City Region will descend on Doncaster later this week for an important trade summit. The first ever Doncaster Business Conference at Doncaster Rovers’ Keepmoat Stadium on Friday will see company bosses, local politicians and other business representatives gather to discuss what the future holds for the town and region. The conference will be facilitated by Dr Adam Marshall, executive director of policy and external affairs at the British Chambers of Commerce. Panellists and speakers at the event include Doncaster mayor Ros Jones, MPs Caroline Flint and Rosie Winterton, Juliette Healey, agent for Yorkshire and the Humber at the Bank of England, Ben Still, executive director of the Sheffield City Region Local Enterprise Partnership and Scott Cardwell, assistant director of development at Doncaster Council. Representatives from a wealth of regional businesses and organisations including The Yorkshire Wildlife Park and The University of Sheffield will also be attending. Panellists will look at what the next big ideas are to drive growth in the region and how to improve skills for the workforce of the future. They will also look at how the Sheffield City Region is important to UK economic growth. The event is between 8am and 12.30pm. For tickets contact the chamber on 01302 640100.